After Cintrivial’s great reception, Professor Cintrivi returns with a brand new game: Memory Battle Time (MBT)! 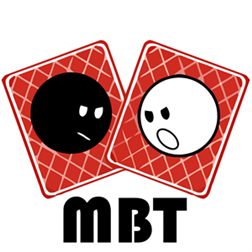 MBT is not a classic memory game, its related cards, exchanges, bonuses, and duels between players make it something much greater! Don’t think it over, download it and show you are the person with the best memory in the world! MTB is a game for any person and player, where you will have to go through different levels by finding pairs of cards in as little time as possible. How fast you find them will depend on the time you accumulate in order to continue advancing and obtaining points which will help you get a better score in the general leaderboard. – After completing a level, you will gain extra time. – Time Bonus (TB): Special levels, where you will start off with an initial amount of time in order to discover certain pairs of cards. If you finish collecting them before the time is over, you will gain the time left. – Duels: You’ll be able to challenge other players by betting a percentage of your time to get bonus time, although you can lose it if you are defeated. Getting good scores on MBT is as simple as finding card pairs, with the chance of making ‘combos’ (consecutive guesses). – 2x: You’ll be able to double your score. – Bomb: You will lose points if you don’t deactivate it. In addition, you can get extra points playing the special levels: ‘Bonus Points (BP)’, where you will have a certain amount of time to memorise where the cards with points are, so that later you can collect as many of them as you can without activating any of the hidden bomb cards. As you continue to finish the levels you will start unlocking the related cards and adding them to your card collection, so that you can also play the Free Game Mode (Free Game).